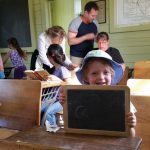 The History Park is home to many of the original buildings from the old Pearce Ranch in Golden Gate Canyon. 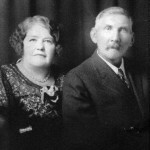 Thomas and Henrietta Pearce, pictured below, raised eight children on their ranch. It was one of the largest in the area by 1912. Read more here.